As a self-professed introvert myself, I know that having the spotlight on you can be unnerving, but as someone who has navigated these tricky waters before I can assure you that networking events don’t require you to suddenly act like the life of the party. Believe it or not you don’t have to stretch too far beyond your comfort zone to be a good networker. Just think of it as a sandwich. Without the bread (the areas that introverts excel at) you won’t have much of a sandwich. What is it you want to accomplish through meeting certain individuals? – Gain advice? Offer skills or expertise? Understanding this will make the interaction smoother. Also make sure you have practiced a quick (30 second) elevator speech, contacts need to know how your skills can be utilized to benefit you both. Don’t sweat it! Even if you are an introvert, your deep passion for your industry will inevitably bubble to the surface if you simply focus on what you do and why you enjoy doing it. By taking yourself partly out of the equation and putting your profession in the forefront you will relax a little and share more. If you need to get out of a conversation or move on to meet someone new a good way to end the conversation without causing offence is to ask for the person’s business card or to hand over yours (even if you are not currently working create a simple card with your contact info on it for these situations) This cue usually works – but before you meet someone new quickly jot down conversation points on the back of the card while things are still fresh. This part is so important it can’t be emphasized enough! Email the person the next day and maybe mention a point or two that you discussed with the person (those business card notes will come in handy) This continues the conversation and could potentially start a great collaborative partnership. Because Introverts tend to notice the little details others overlook, use this strength to your advantage to make yourself standout. 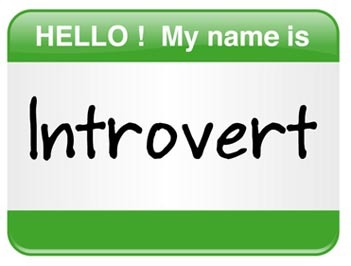 More and more, potential movers and shakers realize that introverts contribute added value to their companies. For all you know you may be the best thing since sliced bread! Elaine Logie is a student of the Career Consultant Certificate Program. MCACESBlogs is a series of posts to assist job seekers their friends and peers with many facets of the work search process. Like what you read? Be sure to subscribe to MCACESBlogs or check back often for the latest tools and tips about work search techniques.